The ISO 9001:2015 is the newest edition of the ISO 9001 standard for quality management systems and quality assurance by the Organization for International Standards. This publication aims to establish generic guidelines and requirements that can be applied by any organization, regardless of its type and size. to enhance customer satisfaction through the effective application of the system, including processes for improvement of the system and the assurance of conformity to customer and applicable statutory and regulatory requirements. The ISO 9001 Standard was first published in 1987 and has gone through 5 revisions since then. The main difference between the 2015 and the 2008 editions was the conceptualizing of the Plan-Do-Check-Act (PDCA) cycle and Risk-based Thinking. Furthermore, the re-organization of the Standard under the umbrella of the PDCA cycle, provided unambiguous structure which was also applied by all the standardized management systems: Environment, Food Safety, Occupational Health and Safety. This structure is known as High Level Structure and is based on the same core elements, facilitating the navigation and realization of the rest of the standards in this family. The organization for International Standards allows organizations a transitional period of three years where they can move from the ISO 9001:2008 Standard to the ISO 9001:2015. This means that organizations certified in 2008 have until the 23rd of September 2018 to move over to the latest edition of the Standard. HIBO certifications offers in-depth technical and legal expertise that are recognized internationally and provides you with a comprehensive guide to getting the ISO 9001:2015 certification. By simply registering to our website, you gain access to our full scope of services which also include a simplified version of the official ISO 9001:2015 edition. This service is provided free of charge for HIBO certified members while being available to non registered members for the price of 49 EUR. 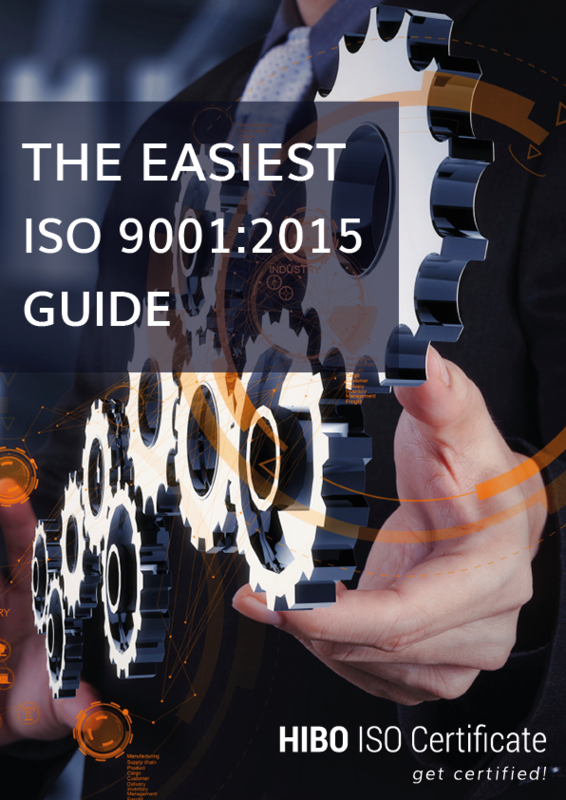 This manual was written in order to provide a comprehensive guide to the ISO 9001:2015 standard and the quality management system it introduced. get certified and download the manual FOR FREE!